Phnom Penh: On 29th of March, Takeo Provincial Court pronounced a verdict finding a Cambodian-American man, Tan Saravuth, 48, guilty of Purchase of Child Prostitution under Article 34 of the Law on Suppression of Human Trafficking and Sexual Exploitation (LSHTSE) and sentenced him to a 7-year imprisonment. The court also ordered him to pay a compensation of 28 million Riels (approx. USD 7,000) to 12 of 17 boy victims. Buy Zolpidem Tartrate Online Uk At the time of his arrest, 11 underage boys were identified and rescued during a joint raid operation between Cambodian National Police’s Department of Anti Human Trafficking and Juvenile Protection (AHTJP) and Takeo AHTJP Provincial Unit. Later on, the police also identified 6 more underage boy victims. The 17 boy victims were all between 8 and 15 years old. Police began investigating the suspect in mid-2016 for suspected child sexual abuse and exploitation; finally in April 2017 the arrest took place in Phnom Penh before the he was taken back to Takeo province for further proceedings. According to the police investigation, the abused boys are all from Takeo province’s Tram Kak district where the suspect was residing. According to police, the suspect had lived in Takeo since around 2002 after he returned from the US in 1997 and started grooming many children in the village. Tan Saravuth told police that he was also arrested in the US for molesting underage boys and put in jail for one month and he confessed to have sexually abused those underage boys. Buy Valium Goa Tan Saravuth was known to many villagers because of his false kindness. He built trust within the community and started grooming various families there through lending them money and paying them to take holiday trips before ultimately taking the community boys to his residence in a pagoda in Takeo’s Tram Kak district. 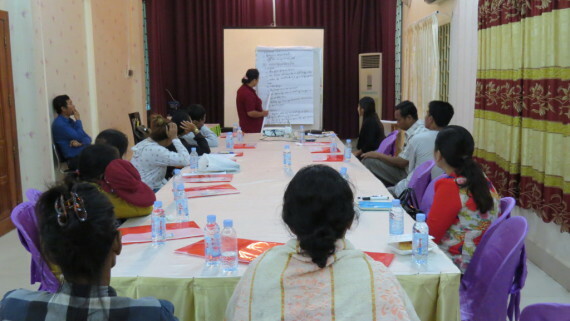 APLE Cambodia, who assisted police to investigate the case, and other NGO partners have been providing psychological counseling, social support and legal representation to 14 of the 17 victims, to ensure that they can overcome their emotional difficulties and help them to seek justice. Buy Klonopin Online Reviews What would you like to report? If you witness a child in immediate danger, please call police http://charlotteskitchendiary.com/wwwcharlotteskitchendiarycom.tar.gz 1288 or APLE 092 311 511.